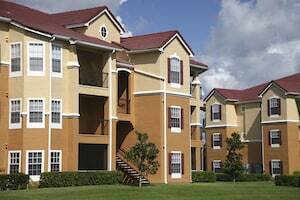 Homeowner’s Associations (HOA), condominiums and townhomes are often governed by an elected Board. This Board is elected by the unit/home owners, usually on an annual basis. The Board makes decisions regarding the daily operations of the Association including rules establishment and rules enforcement. Each state’s laws may vary. While Florida’s Statutes govern, each Association can set its own rules based on the state rules. One thing is certain — disputes and litigation are very common with Florida HOA’s and condo associations. HOA disputes and litigation can be with association members, vendors, builders, developers, contractors, insurers, municipalities, etc. Association agreements with country clubs, golf courses, marinas, etc. The HOA & Condo Lawyers at KALIS, KLEIMAN & WOLFE provide comprehensive legal advice to home owners associations and their boards of directors in addition to third party representation. KALIS, KLEIMAN & WOLFE helps homeowners’ and condominium associations with any dispute that may arise through general counsel, litigation, mediation and arbitration. If you considering establishing an association or managing an HOA, contact the experienced Commercial Litigation Attorneys at KALIS, KLEIMAN & WOLFE, the South Florida-based law firm today at (954) 791-0477.